A mobile internal communications platform can enable quick, effective, targeted, and continuous communications in crisis scenarios. With an escalating number of national and global crises beckoning for our attention via the 24-hour news cycle, it can be difficult to discern what “normal” looks like anymore. Whether the harrowing footage delivered to the device of your choice deals with hurricanes, fires, terrorist attacks, or cyber-crime, it can be rather frightening to look at your smartphone these days. But with unpredictability becoming the new norm, people must be ready and able to deal with each new challenge together as it arises. Many organizations, be they for-profit, nonprofit or governmental, have accepted the difficult reality that crises will continue to occur, perhaps with increasing frequency. Yet there’s a wide range of possible responses when it comes to organizational preparedness. Enterprises that think ahead and are ready to react to the variety of potential crises with a coordinated, accurate, and informed response can experience an immensely positive impact. People often interpret the same thing in different ways. In an information void, rumors and hearsay can get labeled as fact and official advice. A cyber-attack or natural disaster can disable IT’s infrastructure and functionality, rendering the organization and its workforce unable to exchange accurate information. 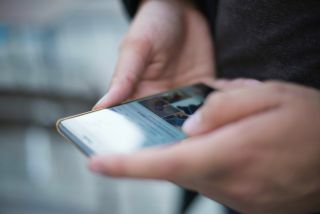 Smartphones and social media can be a double-edged sword, disseminating inaccurate, unauthenticated guidance to employees if not properly harnessed. Yet when expectations are set, and the right controls and applications are in place, these tools can be leveraged to facilitate an organization’s ability to provide needed guidance and support to employees—including non-desk-based employees (NDEs) – i.e., those working the floor, or out in the field. An ideal solution in this regard is a mobile internal communications platform, which can help an organization and its workforce (employees and/or volunteers) respond to any given crisis. Such a platform should incorporate three distinct features that are intrinsically linked: an interactive app, an inspiring success program, and an intuitive management console. The goal of this platform is to unite the entire workforce, from the field to the boardroom. Imagine a solution that enables all employees, regardless of their location, to have ongoing engagement with company communications and each other, as well as opportunities to connect with—and gain inspiration from—their managers and the company’s goals. Enable staff to procure documents on safety procedures directly from their smartphones. Let employees access directories to connect directly with crisis-management colleagues. Ensure that the organization can get important messages in front of employees (including NDEs) immediately and directly via push notification functionality on their devices. Instantly segment staff into those directly affected by the crisis and those concerned for colleagues, supplying specific guidance to each group. Quickly provide real-time updates to defined groups, ensuring that unlike other chat apps, the user’s phone number isn’t displayed and remains private. Allows management to reach the entire workforce—including field-based and front-line workers—at the same time. Many organizations have already experienced success using a mobile platform for internal crisis communications. London-based Community Health Partnerships (CHP), for example, used the StaffConnect mobile communications app to advise employees of a terrorist situation that was developing in London Bridge, and check that everyone was safe. In the United States, the YMCA has used the StaffConnect mobile app to keep staff updated when hurricane situations were developing that would impact the southern states. Staff were also able to use the app to report if and when the disruption kept them from attending work due to the situation so that they could discuss logistics and alternatives with their managers. The app’s functionality also helped with car-share arrangements and other forms of staff cooperation—including redistributing work and sending well wishes to co-workers. In short, the app allows the organization to continue functioning as well as possible while also supporting information dissemination about critical services. Most organizations plan for disasters with the hope they never occur—but for first responders and other emergency professionals, crises are a guaranteed reality of their roles. With paramedics, for example, having the ability to communicate with colleagues and outside experts can be the deciding factor in a successful outcome for those affected by the emergency. The right mobile communications app allows emergency personnel to instantly identify who can provide the needed guidance, which they can tap into for real-time information exchange using the built-in chat functionality. An enterprise-compliant mobile communications platform is not only fast and effective but also auditable and secure, which helps mitigate worries about the transmission of confidential data over unknown servers. Users can even launch such apps from desktop computers if needed. So while a mobile internal communications platform can’t directly fight terrorist attacks, storm seasons of increasing ferocity, or cyber-crime, it can enable quick, effective, targeted, and continuous communications in crisis scenarios. The mobile app’s adoption creates bonds between employees that can positively impact morale and productivity. And while no one can predict with certainty what the next “new normal” will look like, with a mobile communications app on board, enterprises and employees alike can rest assured that they have everything they need to best deal with it.